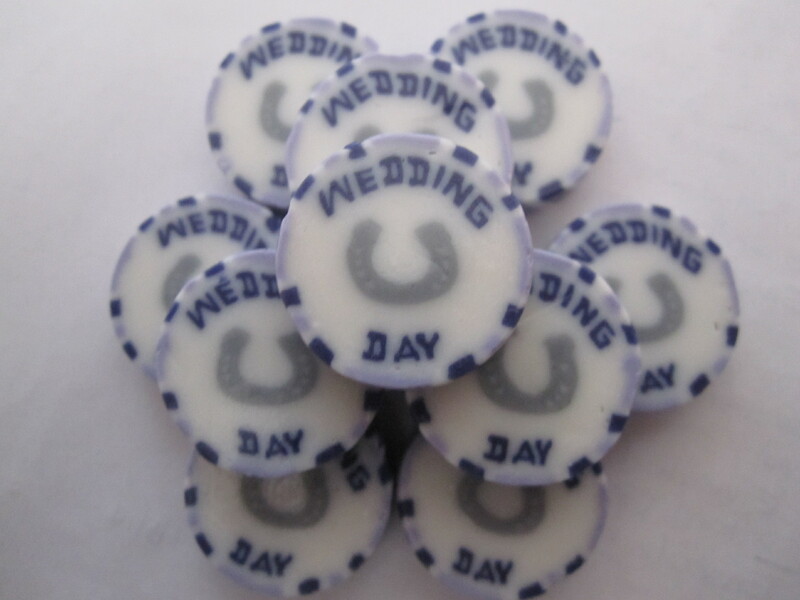 Freshly made in our factory 100 wedding favours. These are in two shades of purple with a silver horseshoe design running through the middle. 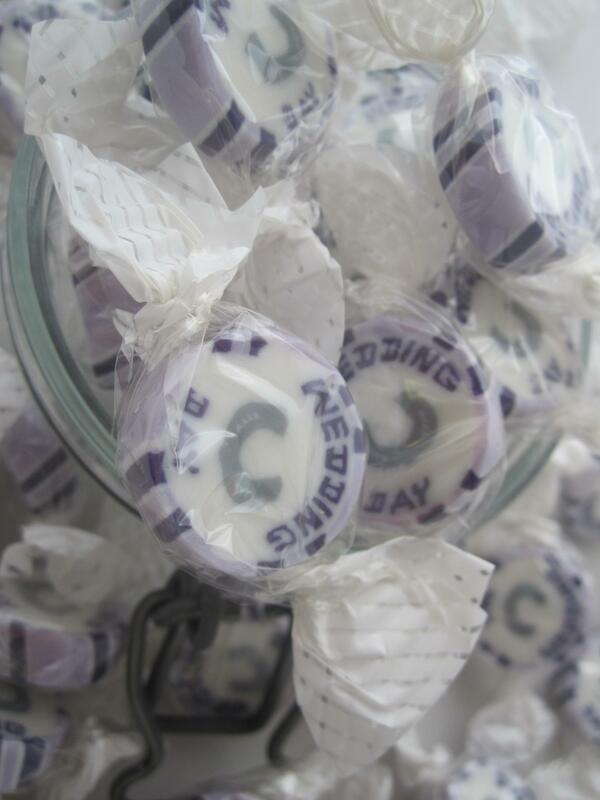 The sweets read WEDDING DAY in purple. Flavoured with our mouthwatering buttermint flavour.